If you have held a TV remote control in your hand, punched a button on a microwave or adjusted a digital thermostat, you have interacted with surface mount technology, or SMT. Since the 1980s, nearly all mass-produced electronics are now manufactured using SMT. SMT growth was spurred in part by pressure to shift from leaded components, but as the technology advanced and leaded solders gradually disappeared, SMT’s advantages blew well beyond shifting materials. Surface mount technology is an accessible practice from both design and development perspectives and allows for greater efficiency and precision in a highly-demanding consumer electronics market. Why go to Surface Mount Technology? As the demand for more and better consumer technology pushed manufacturers to be more efficient and produce better and smaller products, traditional leaded components could not keep up. Production needed to be mechanized to bring costs down and reduce errors. But with traditional components, leads would be inserted into boards mechanically, but wires would often not fit well and production would have to slow or start over. With SMT, leads no longer had to be placed through holes at all. Components could be precisely soldered onto pads, saving the time it would have taken to add holes, while eliminating a process riddled with error potential at the same time. 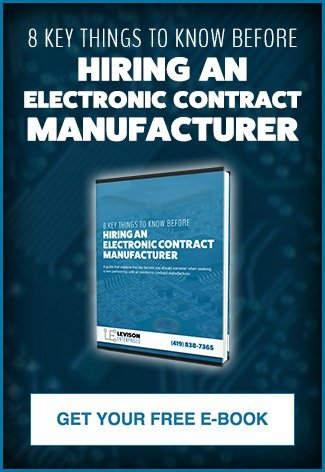 The savings were so substantial that surface mount technology was quickly adopted, increasing mechanization and bringing manufacturing costs for electronics down with them. Adopting surface mount technology mean the addition of a whole new set of components, however. Surface mount devices (SMDs) are the components used in SMT and can be produced in a range of categories. The majority of standard capacitors and resistors are passive SMDs. Coils and crystals can also be passive SMDs. In these, the PCB connections are made through the metallic ends. In transistors and diodes, the connections are made from the leads which come out of the package and bend so they touch the PCB. Integrated circuits can be made for a variety of connectivity requirements. They are typically square or rectangular and can have pins emerging from all four sides. The pins are bent to meet the PCB. Weight and space savings are huge benefits from SMT in terms of design. SMT components can be a tenth of the weight of their thru-hole predecessors. Additionally, they may take up only a half or a third of the space that was required with previous components. Once a product arrives at its manufacturing stage, the advantages of SMT continue to stack up. Board costs are reduced, and materials and their handling costs decrease. In this highly-controlled manufacturing process, errors are diminished and even the number of processes goes down, eliminating the room for problems. A major advantage and cost-savings that came from SMT was the reduction in the number of devices (with reduced error rates), better performance, and increased functionality. Fewer errors, fewer necessary products, a more efficient process and smaller components all add up to significant reductions in manufacturing costs. There are a few disadvantages in working with this highly-specialized process. When working with such small leads, repairs can be very difficult. Plus, solder connections are not perfect, even when they are prepared and produced so precisely. The thermal cycling process itself can damage solder connections. This is further complicated by the fact that components that get very hot can actually melt their own solder connections. Consequently, components that are going to get very hot cannot use the SMT process. With these rare exceptions, SMT is almost exclusively the process that is used to manufacturing today’s common PCBs. With their small size and high level of performance, they are exactly what the electronics market needs to match demand for smaller and high-performing products. Wired components always had a level of difficulty associated with them and surface mount technology fixed these issues and offered benefits that could not be offered any other way. Even with SMT, some components still need manual placement, but the process has diminished this need to an absolute minimum. In some cases, designs are even changed to further reduce manual placement needs. With an automated system like SMT, it only makes sense to take as much advantage of its benefits as possible. Levison Enterprises offers surface mount technology services in addition to traditional thru-hole technology. 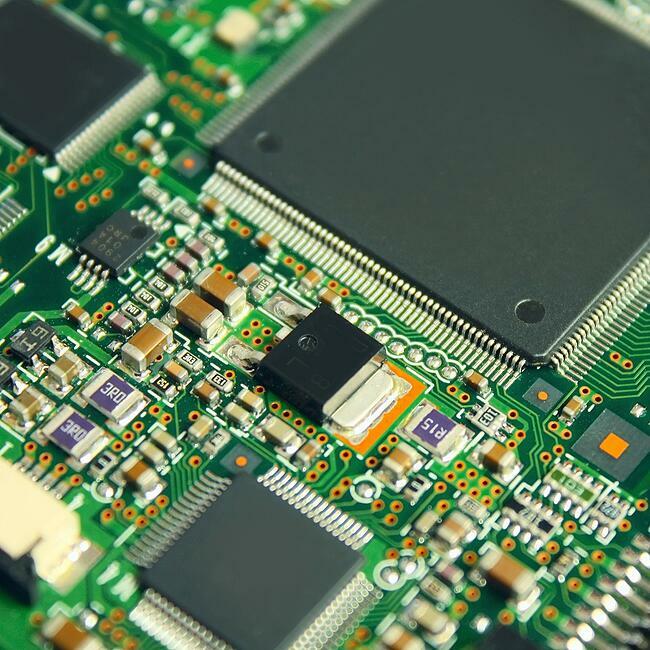 We understand that in electronics manufacturing, sometimes a component will even need both processes to produce exactly the right component for your project. With decades of experience and a commitment to quality, Levison Enterprises is well-positioned to assist with your surface mount technology project. Contact us today and learn how we can work together.